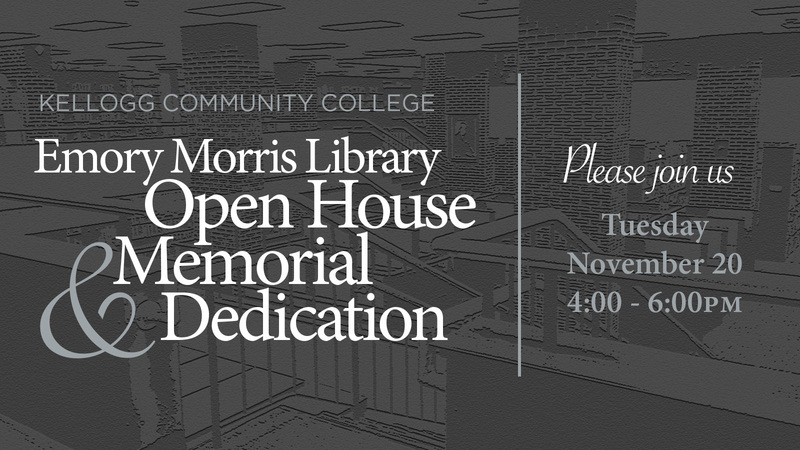 Kellogg Community College’s Emory Morris Library was recently refurbished and the public can take a look at the improvements while remembering one of the College’s most distinguished alumna. From 4 to 6 p.m. today, Tuesday, Nov. 20, there will be an open house with light refreshments and a gift card prize drawing. U.S. Air Force Brig. Gen. Linda McTague will be memorialized with a dedication and plaque presentation at 5:15 p.m.
McTague, who graduated from KCC in 1977 and was recognized as a distinguished alum in 2001, died May 10, 2017. The Battle Creek Central High School graduate continued her education after finishing her time at KCC and eventually retired from the Air Force after 28 years of service, including time as a pilot. A rocking chair, once gifted to McTague by KCC, was given back by her family after McTague’s death, and now sits in the library’s children’s section where future generations of young readers can be comfortable. Following the dedication, tours of the upgraded library will give people a look at how “smart” technology study rooms, new lighting and flooring, an upgraded elevator, redesigned restrooms and more have improved the learning environment for students.